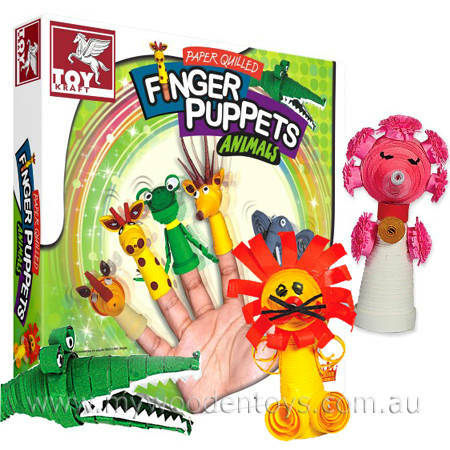 Paper Quilling Finger Puppets is a fun creative craft set from Toy Kraft. Quilling is an art form of rolling, shaping and bending thin strips of paper into delicate looking shapes. These shapes can then be used to create all sorts of beautiful things. This set comes with full instructions which tell you how to turn the paper you have quilled into wonderful finger puppets. The set also includes Glue, Paper Quilling book and full instructions. We like this because: "Such a lovely thing to create and can be used for so many things.."